I've got most of the collar and rigging laid in. A little more work on those areas then I'll put in the first pass of the shoulders and legs. 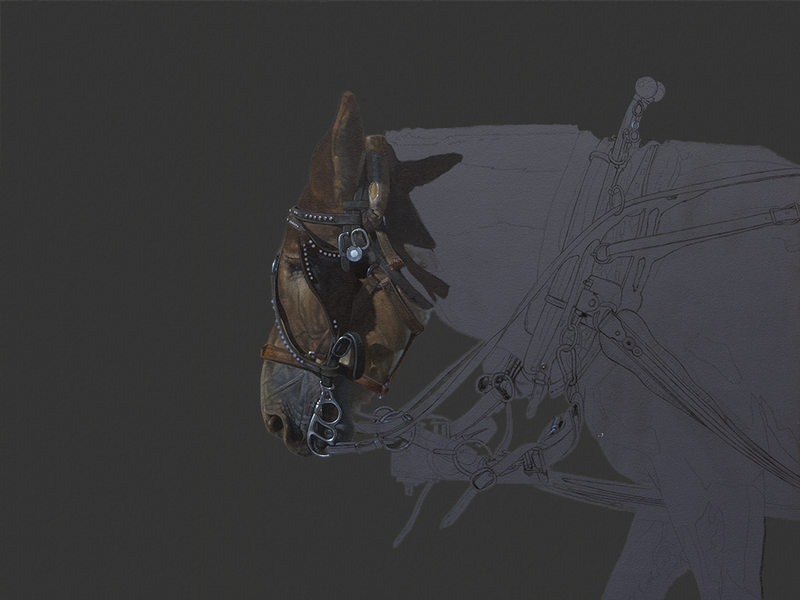 I went ahead and painted the first pass of the rigging under the mules neck and then laid in the neck itself up to the collar. Today it's back to more rings, buckles and straps. Got the head laid in and now. . . ? 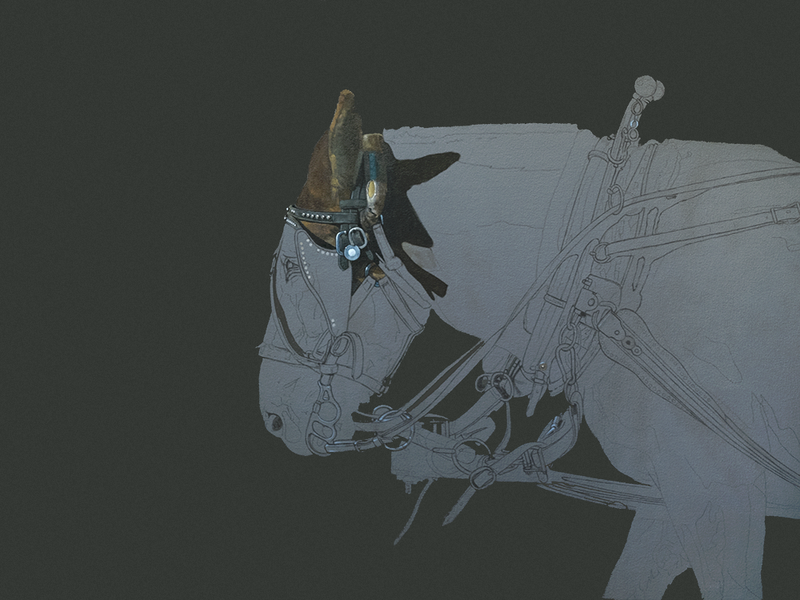 I'm debating whether to do the rigging under the head or start moving down the neck towards the collar. I guess I'll know in about 10 minutes. I finished up Pepsi No.2, but the gallery owner has asked that I not display it until he has the painting in his possession, so I'll post that image at a later date. In the meantime I've begun a new piece. Karen and I are sharing a show in Charleston the first week in April at Principle Gallery. She suggested that I do one large painting to go along with the five 12 x 12's I did at the end of 2014. Suggested, "with extreme prejudice". 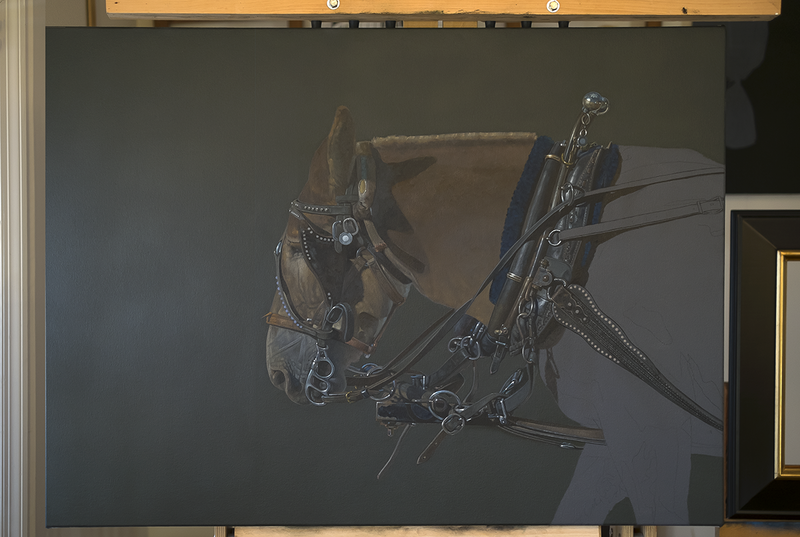 She also suggested that I paint another Mule. She knows I like painting animals, and since this creature is from Charleston, it sort of fit. 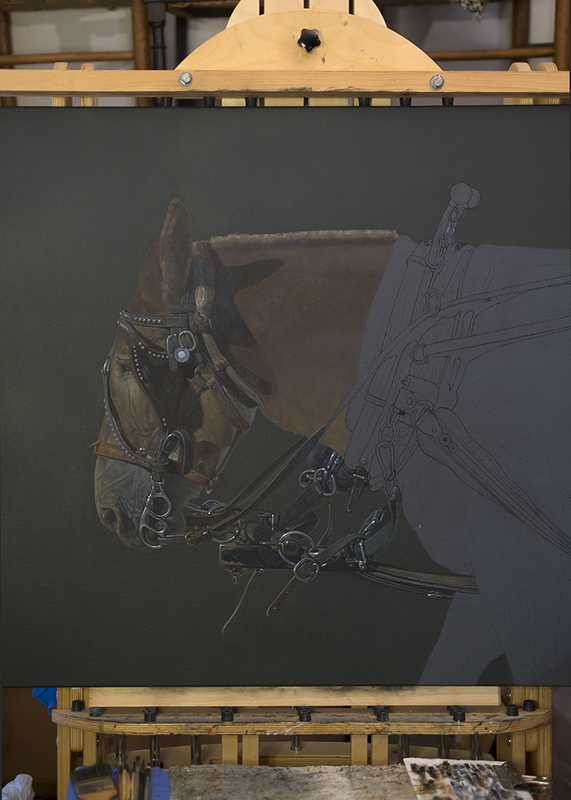 I've got about four days into it at this point with most of that refining the drawing. I'm a left to right guy, so I'll be working down the head, then onto the neck and all that beautiful rigging. I'm not sure about the background. That may change before this one is done.